It just might be the dream come-true for every Pokémon diehard; Nintendo is set to release a smartphone game that will let you ‘catch ‘em all’ in the real world. Along with the free Pokémon Go game, users can purchase a $35 Bluetooth wearable – a teardrop-shaped Poké Ball – that will let you catch Pokémon in the wild without taking out your phone. The Go Plus device was revealed today at the E3 Expo, and Nintendo says the accessory will be available in late July. Pokémon Go will soon be downloadable for free on the App Store and Google Play. With the game, users will be able to ‘travel between the real world and the virtual world,’ according to Pokémon’s official site. ‘Some wild Pokémon will appear only in certain places near where you live or around the world,’ the firm explains. ‘For example, some Water-type Pokémon may appear only near lakes and oceans. In some areas, you may be more likely to encounter the same type of Pokémon on more than one occasion. But, catching the same species numerous times will eventually allow you to evolve them. When a Pokémon is nearby, your phone will vibrate. 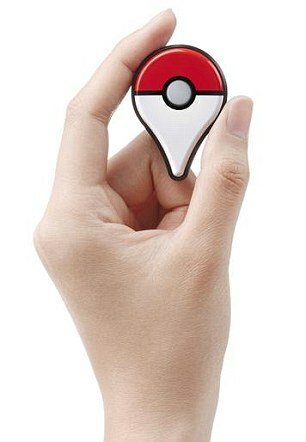 Then, using the touch screen, you can aim and throw a Poké Ball to catch it. 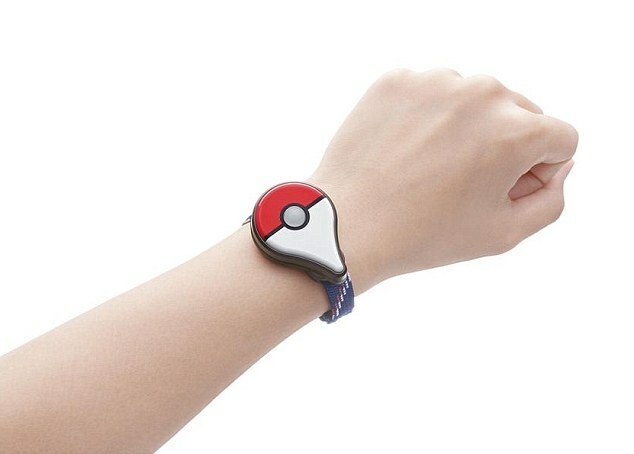 By using the wearable Pokémon GO Plus, players will be able to keep interacting with the game while leaving their smartphones tucked away. The Go Plus will issue alerts about any events in the game, including the appearance of a Pokémon. When this happens, the device will vibrate and flash LED lights so you can catch the Pokémon before it runs away, by pressing the button in the center. With Pokémon Go, you can even use your smartphone to take photos of Pokémon in the wild. This is done by turning on the camera once you’ve encountered a Pokémon – the game will then place it into the scene. Pokémon Eggs can also be found at PokéStops during a player’s explorations, and these will hatch as you continue your journey. The game is currently undergoing field tests in the United States, Japan, Australia, and New Zealand, and is expected to launch later this summer.